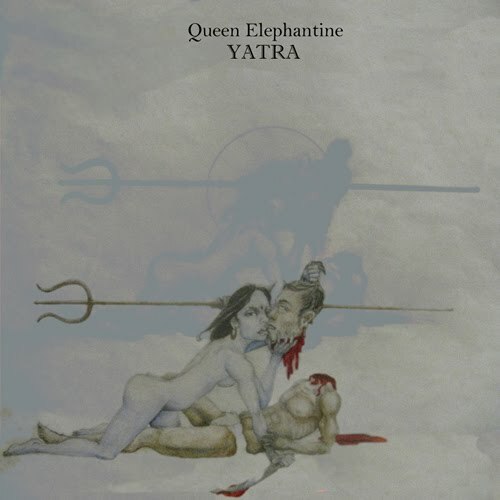 Ritual Room: EP: Queen Elephantine - "Yatra"
Hopefully you've heard the mindbending Queen Elephantine release "Kailash" by now, but reguardless if you have or if you haven't here is an EP that was released a free e-release while "Kailash" was being worked on called "Yatra". 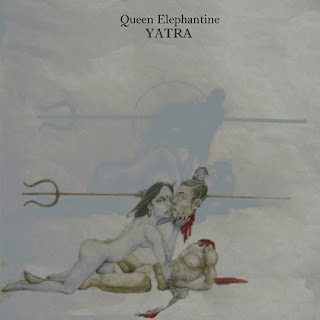 The first track on this release, "Droning Earth", previously appeared on the Droning Earth Vol. 7 compilation and is a 20 minute epic of droning psychedelia, fuzzed out guitars and trance enducing riffs. And as if all that wasn't enough, then the second, previously unreleased track called "Chariot of Solemn Procession" really gets down to business with absolutely mindblowing, dark, tribal, Ufomammut-esque vibes combined with meditative chants and a mammoth backbone. Brilliant band.